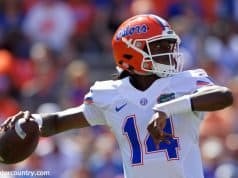 The Florida Gators just didn’t have enough in the tank on Saturday to finish it out with the 7th ranked Kentucky Wildcats. The energy in the O’Dome from the tip was incredible, and Florida fed off that, but emotion and adrenaline will only go so far against a team as talented as Kentucky. 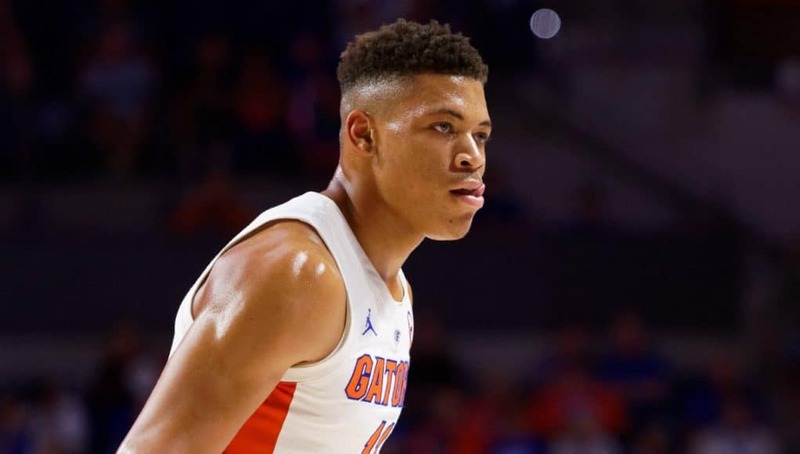 The Gators got out to a five-point lead early in the game, led by the shooting of KeVaughn Allen and Noah Locke, but as the story would unfold, those two would not have the games the Gators needed them to have. Along with the offense, Kevarrius Hayes came out on a mission on defense. The senior center was completely overmatched by Kentucky’s bigs, but that didn’t stop him from blocking two shots within the first three minutes. Keyontae Johnson had one in the opening minutes as well. Despite falling off offensively midway through the first half, the Gators continued to keep the Wildcats in check on defense and had yet to trail over 12 minutes into the game. Kentucky took an 18-17 lead on a PJ Washington layup with 7:23 to go in the half. The two teams went back and forth for a bit, but five straight points from a sharp shooting Andrew Nembhard put the Gators up by three, and they ultimately took a 33-29 lead to the locker room. 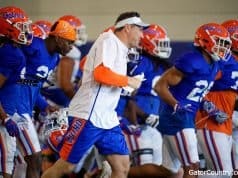 It was about the best start Florida could have hoped for after being counted out in this game all week leading up to it. The Gators really needed Locke and Allen to step up in the second half to maintain the momentum they built in the first 20 minutes. Again, it seemed as though Locke may have finally found his shot as he drained a three-pointer early to go up 38-31. That would be the last time he’d score as he finished the game just 2-for-12. Florida found an advantage on the offensive boards to start the second half as well. It got five in less than two minutes over three possessions. The Gators came away from that stretch with a tipin from Kevarrius Hayes and a beautiful drive to the basket by Jalen Hudson. Unfortunately for Florida, that would be the last time anything it did offensively could be called beautiful for the rest of the night. With 13:59 remaining, the Gators had jumped out to an 11-point lead on one of the hottest teams in all of college basketball. It just felt too good to be true, and like things were far from over. Florida scored just 12 points from that point on as it helplessly watched its advantage slip away. The Gators went on two different scoring droughts of over five minutes in the final stretch of the game. The Kentucky turnaround first started when PJ Washington got to the foul line at the 12:32 mark. He only made one, but this time it was the Wildcats dominating the offensive boards as they grabbed a couple before ultimately coming away with a layup. At that point, the Gators still led by eight, but it really felt like things shifted in Kentucky’s favor when Keldon Johnson drained a three the following possession to make it 42-37. Florida did just enough to be up by a point with five minutes to go, but once the Wildcats took the lead, they never looked back. This game was a lot closer than the 65-54 score could indicate. Florida just does not have the depth it needs to close out a hard-fought game against top teams like Kentucky and Tennessee right now. Aside from a positive 11-point performance from Jalen Hudson, the Gators got next to nothing off the bench. That won’t work when the two players the team relies on the most are having an off night. Looking back, it is actually amazing that Florida held a lead as long as it did. In the second half, the Gators shot 27 percent and made just one three-pointer. Nembhard finished as the leading scorer with 12, but he scored 10 of those in the first 20 minutes and didn’t get a single assist in the second half. Allen had 11 points, but half of those were scored near the end of the game when it was too little, too late. Johnson played well with 8 points and 10 rebounds. He could have had an even better game if not for getting in foul trouble early and having to sit for much of the final stretch. This is a deflating loss for a team that needed a big win in the worst way. 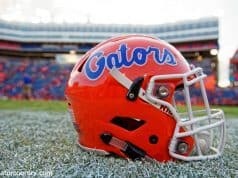 Florida has come so close so many times this season, but finishing games against tough opponents is its Achilles heel. The Gators fell to a 12-9 record on the season and back to .500 in SEC play at 4-4. Next week won’t get any easier with road games at Auburn and Tennessee.